Lamborghini Muira is actually a sports car which was originally built in Italy and by the Lamborghini Company much earlier in the 70’s than people would imagine. The current portrayal of the car is one of the most modern looking cars made with state of the art technology. However the fundamentals that the car is based on are not new and were developed much earlier. The Lamborghini Miura has flamboyant looks and a superb engine to go with it. It has clam shell hoods at the front and the back of the car. The trunk of the car is pretty small and is located at the rear of the tail of the car. There have been several models of Lamborghini Miura released. However for most people owning a Miura is like owning a collectible for car enthusiasts. They get several things from the car in terms of styling, acceleration, overall handling and a fabulous driving experience which is equaled by none other. It is one of the finest among its generation of cars. The V12 engine provides ideal circumstances for country side driving. The interiors of the car were designed for luxury that the driver immediately gets transformed into a c0omplete world of ecstasy. Even when the car is stable and parked alongside it offers sheer viewing pleasure and people immediate recognize it with respect as the Lamborghini Miura. It makes the owner proud and anyone would display it as a centerpiece and flaunt it as much as they can. However the reality is much different as the Miura is not an easy car that can be owned. It is a fragile and a temperamental car in reality and has its own mind. Also keep in mind that the Lamborghini Miura is at least 30 years old and hence it has to be treated as a delicate darling because any damage would cost you dearly. Is restoration possible for the car? Yes t is possible but at a high price. 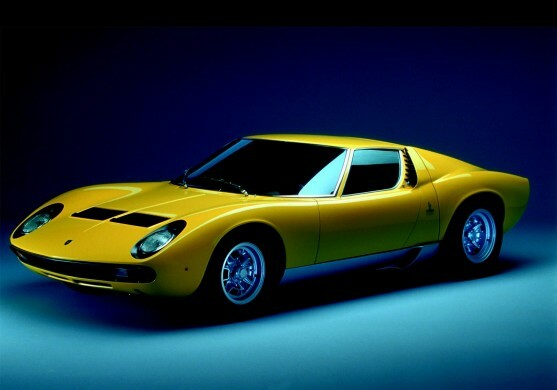 Any item that has to be replaced in the Lamborghini Miura can cost at least $5000 and it is not an easy task. Also one has to keep in mind that it is a low production car and therefore it is not going to replace any part. However proud owners of the Lamborghini Miura still cope with the situation in spite of its weak points and also use it carefully. There are many steps that owners take in caring for the car like using the shift carefully. A person who is looking to buy a Lamborghini Miura would easily have to pay about $200,000 and more for maintenance on a yearly basis. If you are planning to buy the SV then the price could go up to $800,000. Always have a specialist check the cars specifications before you buy because the pervious owner should have more than a good reason to sell it because actually no one sells such cars.